We offer a wide range of valves for softening and filtration applications. Time steered or volumetric steered, mechanical of electronic, simplex or duplex, the choice is yours. We commercialise Clack, Fleck, Autotrol and Siata valves. The Clack valves: reliable, efficient and simple to use. Click below to download the chapter 'Clack Valves' of our catalogue! 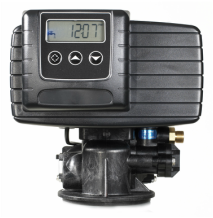 With more than 15 models, 91 options and more than 3000You always find a valve in the product line of Fleck which enables you tot offer a unique product when responding to a specific users need. Whatever the application is - softening or filtering, domestic or industrial, hot or cold water - the products of Fleck have proved their worth and deliver reliable performance year after year. Click below to download the chapter 'Fleck Valves' of our catalogue or our Fleck Spare Parts catalogue! Autotrol valves are suitable for a wide range of applications, such as water softening and filtering for domestic, commercial and industrial markets. 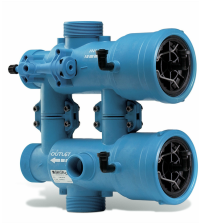 As a result, the brand Autotrol is highly regarded by experts in water treatment from all over the world.The full range of Autotrol valves - made of composite material with multiple ports, plus controllers and accessories – provides the modern features that end users expect, and the reliability and value that dealers requirements. Click below to download the chapter 'Autotrol Valves' of our catalogue! The valves and controllers by Siata form a complete set of modern solutions that make it easier to design, build, operate, and maintain installations for water treatment (filtering, softening or de-ionizing) . Siata offers a wide range of valves in composite material with multiple ports and with a flow rate up to 35 m³/HR, as well as an additional product line of modern professional controllers and accessories. Click below to download the chapter 'Siata Valves' of our catalogue! Click below to download the 'Manual Valves' chapter of our catalogue!